Several jockey changes for this year's Kentucky Derby were announced by drf.com on Tuesday. First, Ricardo Santana Jr. will pick up the mount on UAE Derby winner Plus Que Parfait. In Dubai, the colt was ridden by Jose Ortiz, but Ortiz will retain the ride on Wood Memorial winner Tacitus. Arkansas Derby runner-up Improbable, ridden this Saturday by Jose Ortiz, will be piloted in the Run for the Roses by his brother Irad Ortiz, Jr. The elder Ortiz brother teamed up with Improbable's ownership (WinStar Farm) to win the Belmont Stakes aboard Creator in 2016. Irad Ortiz rode Win Win Win to a second-place finish in the G2 Blue Grass Stakes, but the son of Hat Trick will be ridden by Julian Pimentel in the Kentucky Derby. 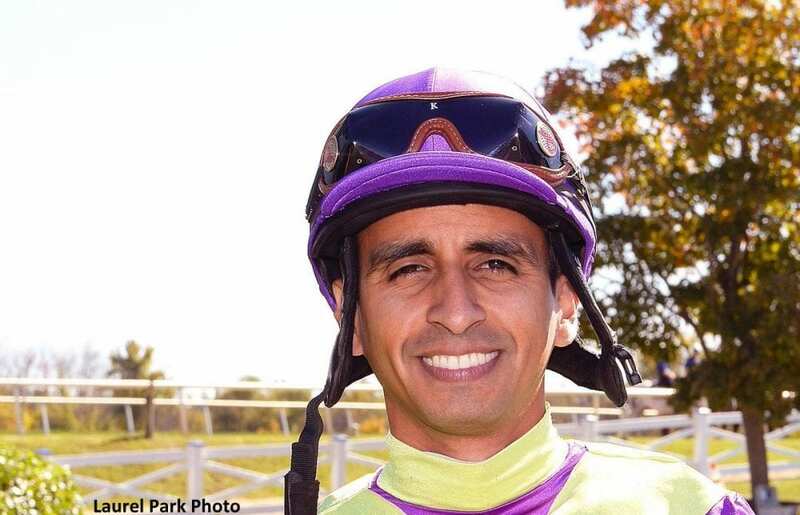 Pimentel rode the colt in each of his three wins, including the record-setting Pasco Stakes victory, and will be riding beneath the Twin Spires for the first time in his career. Additionally, Julien Leparoux will be aboard Master Fencer, the Japanese-trained colt shipping in for the Derby. Other major rider decisions are expected to be announced in the next several days, including Mike Smith's decision between Roadster and Omaha Beach. This entry was posted in NL Article, Triple Crown and tagged churchill downs, Horse Racing, improbable, Irad Ortiz, jose ortiz, julian pimentel, kentucky derby, ricardo santana, road to the kentucky derby, tacitus, Triple Crown, win win win by Paulick Report Staff. Bookmark the permalink.